I just love sweet liqueurs. This certainly dates back to growing up on a farm in New Jersey. There was an ancient orchard where we grew many varieties of both stone fruits, quince, cherries and apples. There were always too many to eat, so rather than let them rot on the ground, many were gathered to make infusions using neutral spirits as a base. These spirits were not exactly liqueurs. They were more akin to Grappa in their flavor profile. Fire water! But the impression of the slightly sweet, stone fruits, as memorable as they were alcoholic never left my taste buds. Over the years my tastes were refined and I grew to appreciate the subtlety in flavors and sweetness with respect to fruit, nut, coffee, chocolate and spiced liqueurs. Some of my favorites are here. Are they worthy of being included in The Fifty Best? I think so, but I’ll let your own personal taste decide that. 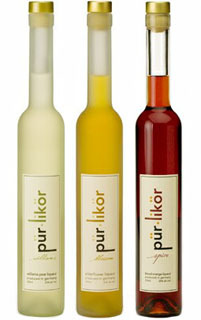 This list of liqueurs is only a miniscule portion of what is available on the market. There are hundreds of others I have yet to try. And now is the perfect time to begin! There is nothing better than an after-dinner coffee made with a few ounces of this quite rare Jamaican Blue Mountain Coffee liqueur, strong coffee and freshly whipped cream. 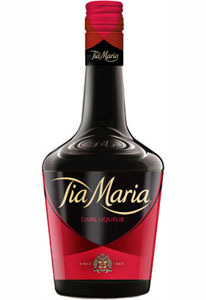 Tia Maria is not like Kahlúa from Mexico, although it is a coffee-flavored liqueur. This is because Tia Maria is not overly sweet and Kahlúa is a bit cloying. Tia Maria is brimming with the aromatics of toasted nuts and real aromatic Jamaican coffee flavor. Pre-heat your mug with boiling water, empty it out and then pour the Tia Maria inside before adding your dose of hot coffee. Sweeten to taste and top with whipped cream. Fluffy advertising aside, I love the flavor combination of berries, herbs and hazelnuts in this liqueur. 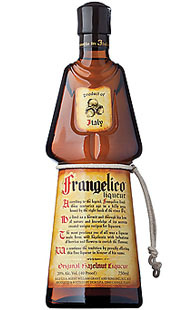 Frangelico is my choice for a glimpse into a short taste tour of the Italian countryside. Ravishing when soaked into a tiramisu dessert or woven into a cup of cappuccino, Frangelico is always lovely served simply in a snifter with an ice cube and a scraping of fresh nutmeg. Who hasn’t enjoyed a short glass of the almond-scented Amaretto? 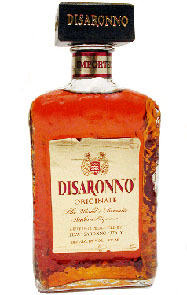 If you’ve been fortunate enough to travel to Italy, this classically produced liqueur is on nearly every bar. It’s usually served on the side of a few short pulls of espresso. Neat if you will. I like it. Is Aperol a liqueur? Yes, it certainly is. Delicious with a grapefruit peel and a splash of fizzy water, or by the tablespoon full if you have an upset stomach, Aperol is both a healer and a liqueur. I like mine in a bit less potent Negroni, with Gin and Perrier lemon essence natural mineral water. 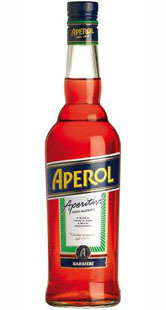 Aperol is about 12% by volume compared to Campari, which is about double the alcohol. Just the very name signifies elegance. 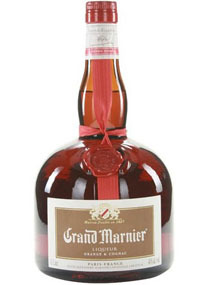 There are several different levels of this venerable liqueur. The basic, entry level is delicious as is the high level slurp. I like to take a bit of Armagnac (instead of Cognac) and mix the two together, then use this unorthodox combination of flavors to mystify the mind in a Margarita made with reposado tequila. Swoon. The elderflower is haunting in its flavor profile. Try mixing St-Germain with bit of smoke, a bit of heat and a bit of sweet. This acts to draw inner flavors out from your usually mundane cocktails. 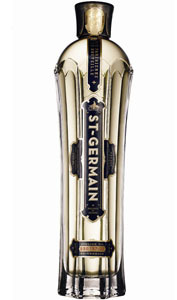 I take great pleasure in mixing St.-Germain with sparkling wine. Bitter herbs and spices woven are thoroughly through the ever-present alcohol and then the fiery blast of even more bitter herbs. In San Francisco and in Argentina they drink Fernet with Cola, and now know why. This is really assertive stuff. It’s not for everyone, especially not for those of you who like sticky sweet. 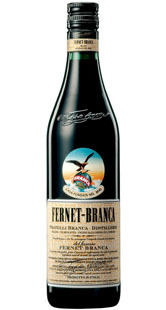 Fernet-Branca is neither sticky sweet, nor is it a creamy drink; it is an old school curative. I recommend it with ginger beer and a couple hand-cut ice cubes. 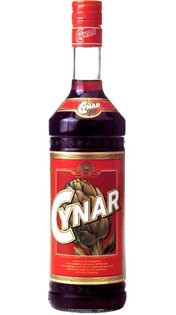 Don’t let artichokes scare you away from trying a bit of Cynar after a meal. I’m quite fond of this liqueur made with 13 different herbs, plants and spices. Artichoke is only one of the ingredients, and you won’t be able to taste it. If you drew a correlation in flavor between Cynar and Fernet-Branca, you’re in the same ship. But there are different pilots at the helm. This is just gorgeous stuff. Bursting with the oils of the skin from freshly juiced blood oranges, with spiced nuts, cinnamon and white pepper notes tucked into each sip– not to burn, but to enhance your snifter. I recommend a splash of seltzer water and an ounce or two of Bourbon Whiskey. Yum. 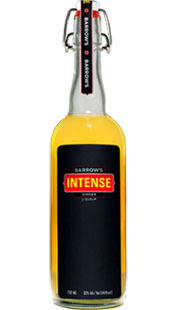 Liqueur on steroids is what Barrow’s really is. I love combining a portion of Barrow’s with a measure of Gin along with a few ounces of sparkling natural mineral water and some fresh lime juice. This is just what your tummy needs. Jackie Summers from Brooklyn, NY has created a liqueur that is quite beguiling in flavor. Herbs, spices and low alcohol combine to make a liqueur that is both provocative and captivating. Sensual notes of slow cooked Caribbean fruits intermix with Caribbean influenced baking spices. Not a spiced rum, but something far more sophisticated and worldly made with New York State grain spirits. Hats off to Jack for making Sorel for us. combines the rich depth of elderberry with the sweet goodness of apple and raw honey, creating a joyous experience for the palette and spirit. As is the practice in Europe, cordials are taken either as aperitifs before a meal or as digestives at the end of a meal. Elderberry is a powerful curative in its own right with marvelous aromatics and a thick mouthfeel. 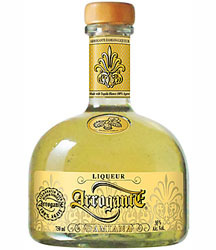 Made from the fruit from the Damiana bush, this liqueur is sometimes used in margaritas instead of triple sec. Damiana is balanced and pure in a margarita, whereas triple sec can be cloying and bitter. Arrogante Damiana is aromatic and bold against the citrus juices and the tequila components of a gently hand-shaken margarita. This is the most magnificent cream (they like to call it silk) liqueur on the market today. 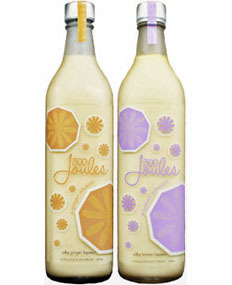 Available in a salubrious lemon, a concentrated ginger infusion and a peppery cinnamon silk, these all mix like a charm. Imagine the lemon mixed with botanical gin, the ginger with dark rum, and the cinnamon with a dollop of Scotch whisky. That’s the true surprise to the palate. Gorgeous! 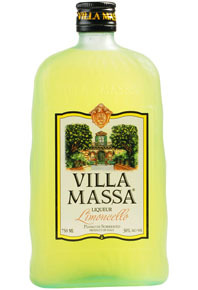 I love the flavor of traditional limoncello because of the spicy nature of the lemon itself. Have you ever brushed your finger over the skin of a real Italian lemon? It’s oily in feel. Your palate cannot decide between sweet, sour or just delicious? is a lush example of maple syrup (in this case, Grade B, extra dark) enrobed in sweet cream. It’s very much at home woven into drinks with the cinnamon toast pleasures of rye whiskey. When I was in Italy recently I came down with a particularly bad case of carsickness. The roads are quite narrow and winding with steep drop offs and rapid ascents and descents. Ramazotti Menta (menta in Italian means mint) is an Amaro- a type of Italian liqueur enjoyed after a meal. Ramazotti is also a powerful curative against carsickness. Try it!